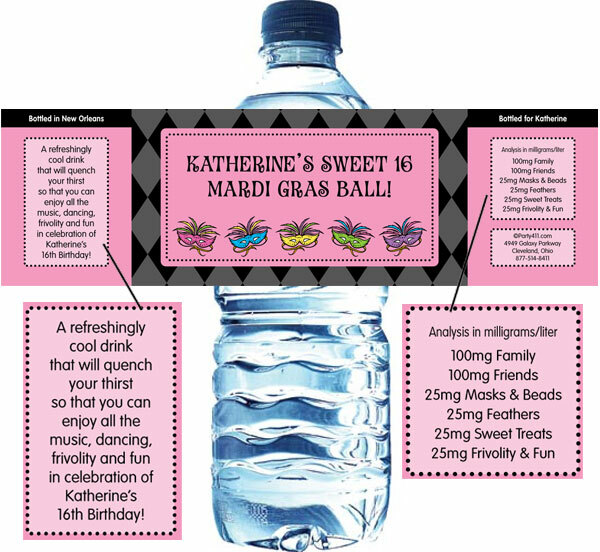 Celebrate with Mardi Gras theme water bottle labels. 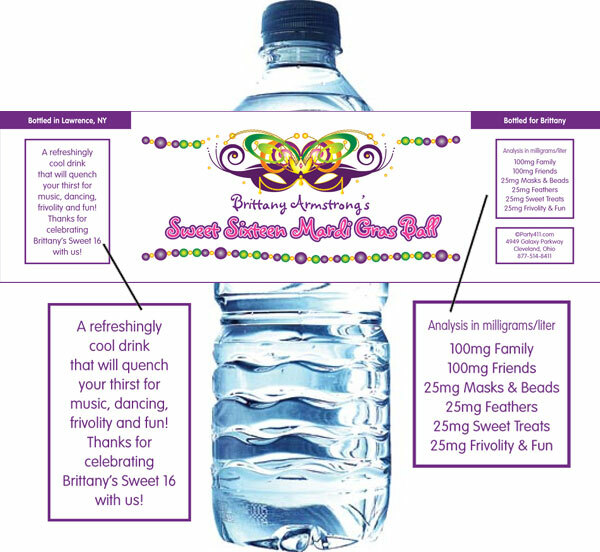 Mardi Gras is a time to raise a bottle or two. 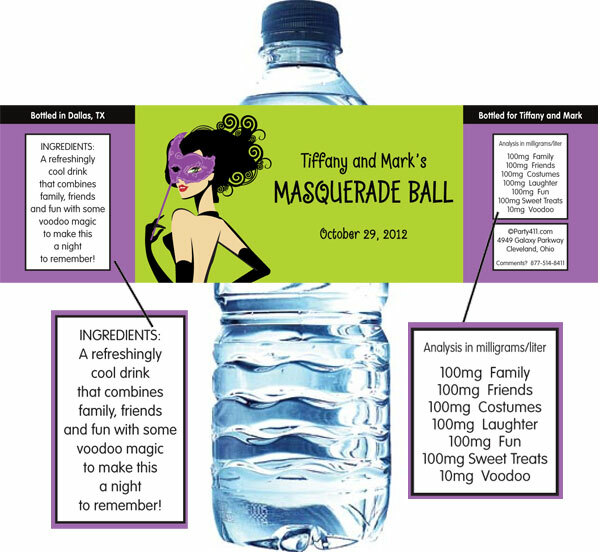 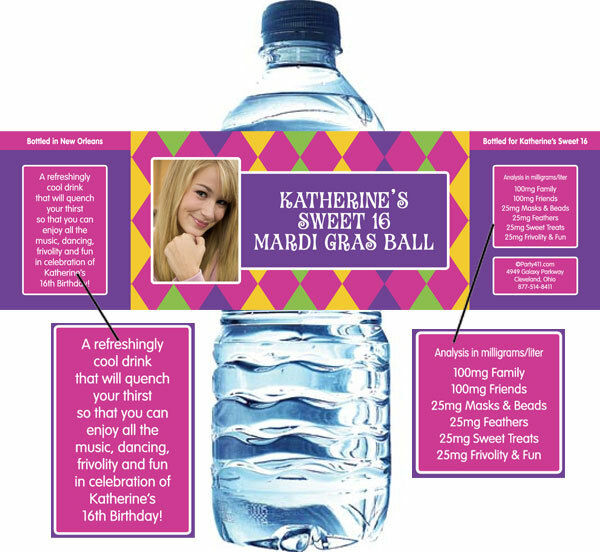 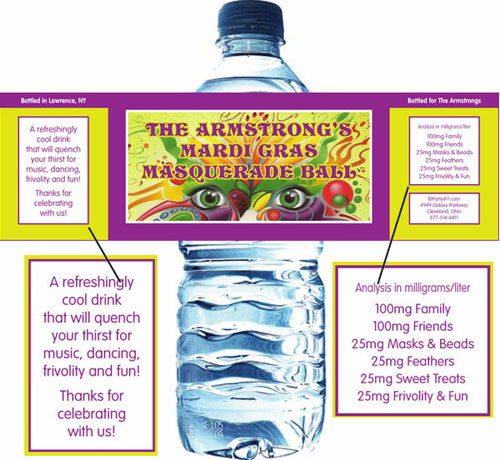 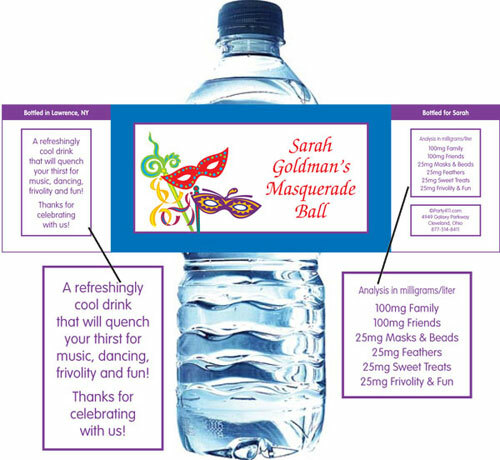 These personalized water bottle labels will make your Mardi Gras celebration unforgettable! 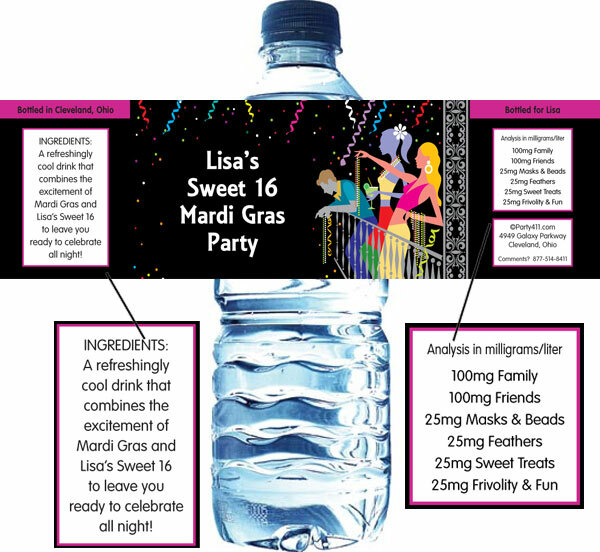 Add your wording for Sweet 16, a masquerade party, Halloween or any event that needs a little "Laissez le bon ton roulet".